Iron Slitting Makers in Vadodara | Slitting Makers in Gujarat | ISKO Strip Pvt. Ltd. 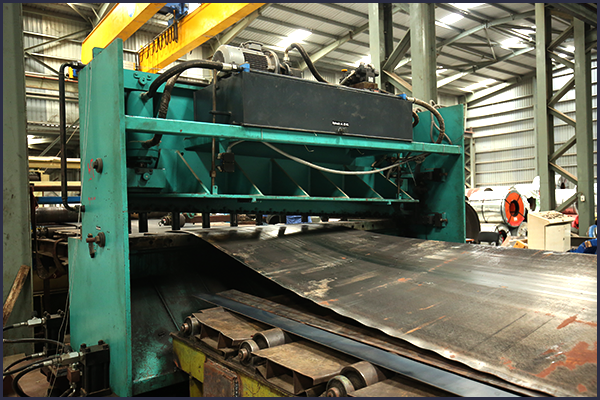 The steel slitting is a process in which rotary steel cutters are used to cut the large roll of coil strip into the narrower rolls as per the specifications and dimensions desired. ISKO Strip offers a wide range of slitting line solutions in India. With an aim to target International standards of quality and provide the best of our products & services, all our highly skilled professionals are focused on the quality production of steel products. ISKO Strip is one of the best slitting service provider in Gujarat, India. ISKO Strip utilizes the modern eccentric adjustment mechanism that is employed on the slitting machine ensuring the high level of slitting accuracy. Backed up with cutting-edge technology & well-experienced team, ISKO Strip is capable of providing dimensionally accurate and high quality slitting solutions in Vadodara, Gujarat. 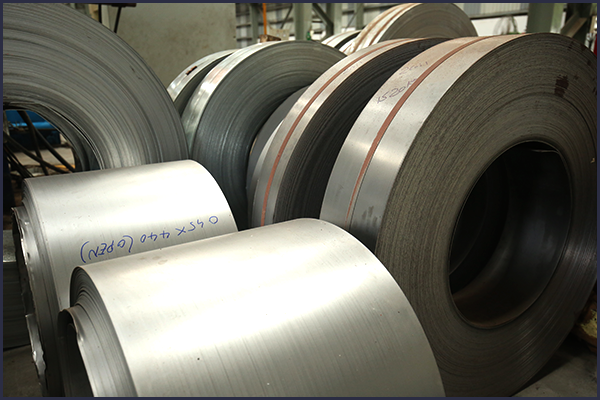 ISKO Strip is engaged in offering the high quality Stainless Steel Slitting Coils in Gujarat. This coils are manufactured using the standard raw materials and are tested against many quality parameters by our quality controllers to keep it as per set quality norms. We are one of the leading makers and suppliers of a wide range of Stainless Steel Slit Coils. These are designed as per national as well as international industrial standards and are appreciated for their robustness and high tensile strength. As per our customers’ requirements, we offer these products in various standard sizes and technical specifications that too at competitive price. 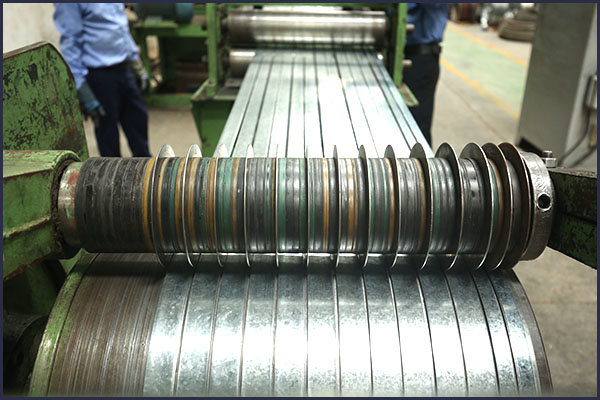 Backed up with aesthetic technology and years of experience in steel industry, ISKO Strip offers the high quality Slitting Coils in Vadodara, Gujarat. The coils are manufactured using the standard quality raw materials and undergo vigorous quality treatment by our quality engineers making it sure that the material dispatched to our clients are as per desired quality norms. ISKO Strip is one of the leading makers and providers of a wide range of Slit Coils in India. THe slitting coils by ISKO are highly appreciated by various industries & sectors for their robustness, high tensile strength, higher workability and durability. We are committed to offer the high quality slitting coils in various standard sizes and technical specifications that too at competitive price. ISKO Strip offers premium quality Iron Slitting solutions in terms of dimensional adherence and internal soundness owing to standard quality raw material, vigorous quality assessment and well-experienced team of engineers. ISKO Strip offers the high quality iron slitting solution in Gujarat. All the steel & iron products being manufactured at ISKO Strip are produced from using the standard quality raw materials and undergoes vigorous quality treatment by our making it as per the desired quality norms. ISKO Strip is one of the leading makers and providers of a wide range of Slit Coils in India. The iron slitting coils by ISKO are highly appreciated by various industries & sectors for their robustness, high tensile strength, higher workability and durability. ISKO Strip utilizes the modern eccentric adjustment mechanism that is employed on the slitting machine ensuring the high level of slitting accuracy. Backed up with cutting-edge technology & well-experienced team, ISKO Strip is capable of providing dimensionally accurate and high quality iron slitting solutions in Vadodara, Gujarat.